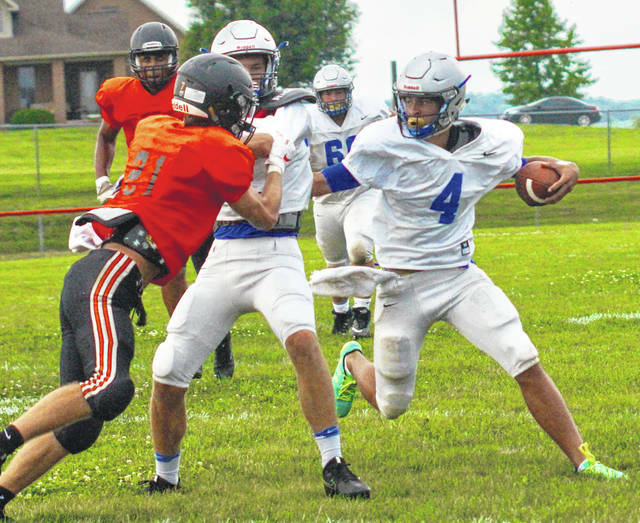 Washington’s Dillon Steward (4) carries the ball during a scrimmage at Amanda Clearcreek High School Friday, Aug. 17, 2018. It was the final preseason scrimmage before the Blue Lions open the regular season next Friday at Blanchester against the Wildcats. Also pictured for Washington are Eli Shaw (blocking) and Alec Haggard. 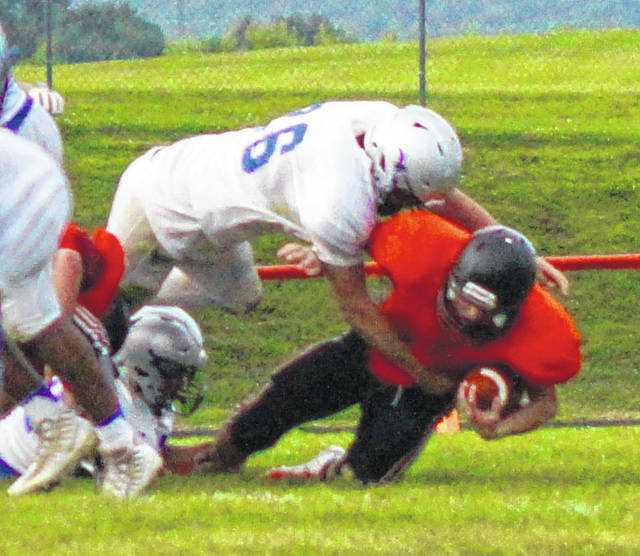 Collier Brown gets a quarterback sack for the Blue Lions in their scrimmage at Amanda Clearcreek High School Friday, Aug. 17, 2018. With the first teamers, Washington led the scrimmage, 14-13. The final score was 26-14 in favor of Amanda Clearcreek. Eli Lynch caught a touchdown pass from Dillon Steward and Steward ran for another score for the Blue Lions.